Over the past few years, witches have truly come out of the cauldron. There’s a real coven in Bushwick, for example, and spell-casting workshops are offered right up there with reading series and comedy shows. If you happen to be a witch, no one’s going to burn you at the stake or claim they saw you with the devil. Your plight is totally relatable, after all — we all wish there was a spell that could lower our rent, or that nefarious cat-callers on the street could be silenced with a single flick of our wands. It’s safe to say that in 2016, being a witch has never been more… well, basic. 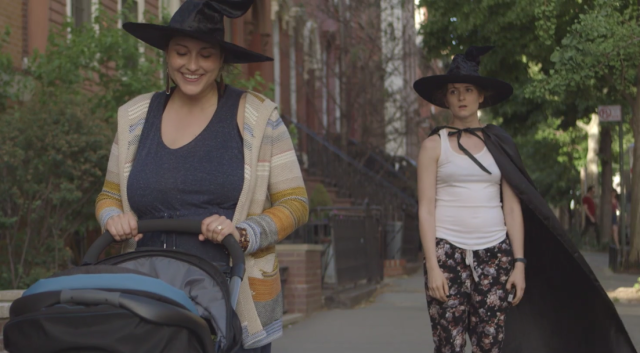 That’s exactly what Basic Witch, the new web series co-created by a coven (read: creative team) of women in Brooklyn, purports to explore. 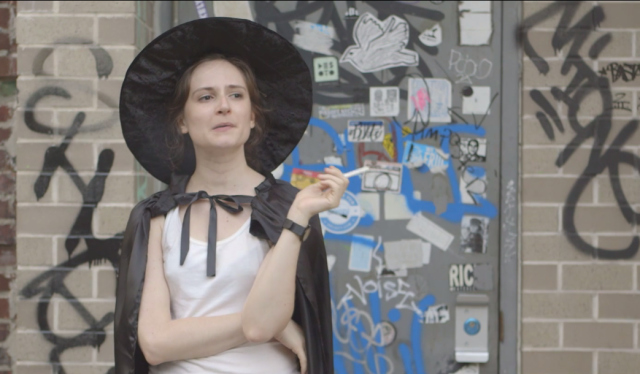 The series follows a witch named Penelope (played by actor Jessica Frey) along the treadmill of her daily routine, taking us through recognizably New York scenarios with a witchy touch. In just five sweetly condensed episodes of six minutes or less, Penelope contends with catcalling construction workers, an ignorant roommate, a male-dominated workplace and the trials of self-care. She even meets bae along the way. And through all of this, Penelope never uses her powers. Save for a single “Abracadabra!” as she jimmies open the door of an apartment she’s showing — uttered so nonchalantly that we can’t even tell whether it’s magic or not — Penelope chooses to suffer through the humanity of each situation rather than controlling it with spells. And according to the series writers, Claire Rothrock and Ryann Weir, that’s exactly the point. Notwithstanding their authorial stamp, the women call Basic Witch “a real coven effort” from Kim Blanck, Janna Emig, Jessica Frey, Annie Tippe, Ryann Weir and Claire Rothrock — each of whom, as each episode’s credits will show you, wore more than one hat (get it?) over the course of the project. “Basic” isn’t necessarily a positive quality for a witch, let alone anyone, to aspire to. Of course, this was not lost on the creators of the show. It’s a stereotype that’s applied almost exclusively to women. “Basic” generally refers to someone with privilege, a lack of individuality and few opinions of her own— kind of like the opposite of “woke.” It’s got its physical characterizations, too, calling to mind an army of Taylor Swift wannabees clad in North Face jackets with pumpkin spice lattes in their hands. The strongest thing about Basic Witch isn’t the soft lighting, or the terrific acting, or the sharp direction. It’s the message, veiled beneath a cape and a pointy hat, about how we make assumptions. Penelope is a witch, but she’s #NotAllWitches. Penelope is a witch, but she’s also a real estate broker, and a smoker, and a single woman, and any number of other labels or categories which she can choose to adopt or disguise in any combination. Her witchy costume, in kind, is a nod to the presentational quality we all adopt when we engage as “ourselves” with the outside world. Identity is a performance of traits, whether learned or innate, but it’s a performance that should be afforded to everybody without the shame or danger that too often goes along with it — especially where race and gender are concerned. For all its political tenor, Basic Witch is still an incredibly joyful piece of internet content for the masses. It’s a story for anyone who’s ever gotten stuck behind juice-cleansing yogis on the sidewalk, or anyone who’s dreamed of having a meet cute in a pet store. And with an all-female creative team, you can bet this show is for every Penelope out there. Basic Witch has another episode coming out very soon! 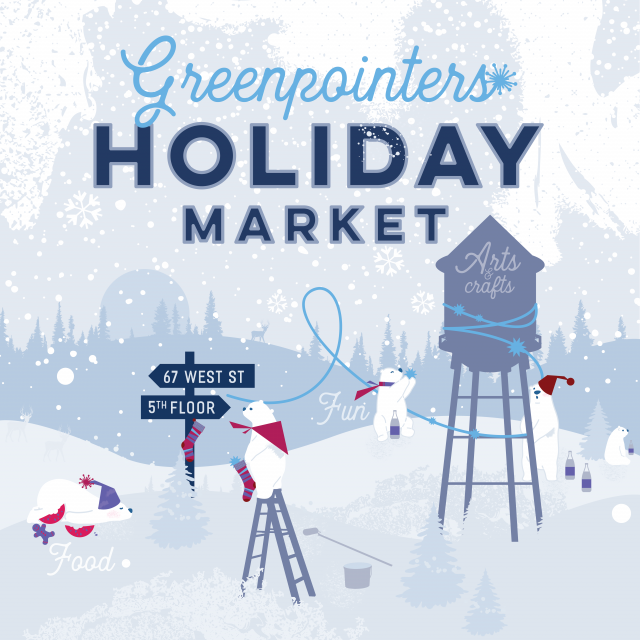 Stay tuned on their website. Get in the holiday spirit with a vintage ride. Revel in a wintry wonderland. We’re booking a sesson ASAP.